The ruble surged Wednesday after Russia unveiled a package of measures aimed at containing its currency crisis. The currency jumped 14% after the Bank of Russia promised help for banks struggling with the impact of the ruble rout. It has lost 46% of its value against the dollar this year, driving up inflation. The central bank said it would make it easier for banks to access Russia's reserves -- easing concerns that they may not be able to meet demand for dollars from individuals and businesses. Worried that their money is now worth less, Russians have been exchanging rubles for dollars and stocking up on imported goods. Banks and companies have lost access to Western sources of finance because of sanctions imposed over Ukraine, but still have foreign debts to pay. Officials said they were preparing to inject more funds into banks next year. Earlier Wednesday, Prime Minister Dmitry Medvedev said the government would work with the central bank to stabilize Russia's financial markets. The finance ministry said it would begin selling its remaining $7 billion of foreign currency reserves. 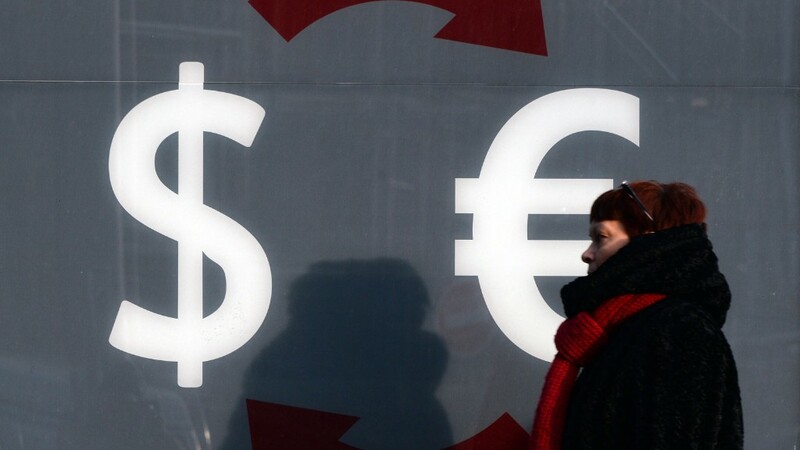 Wednesday's move is the latest attempt to prevent the currency crisis trashing the Russian economy. 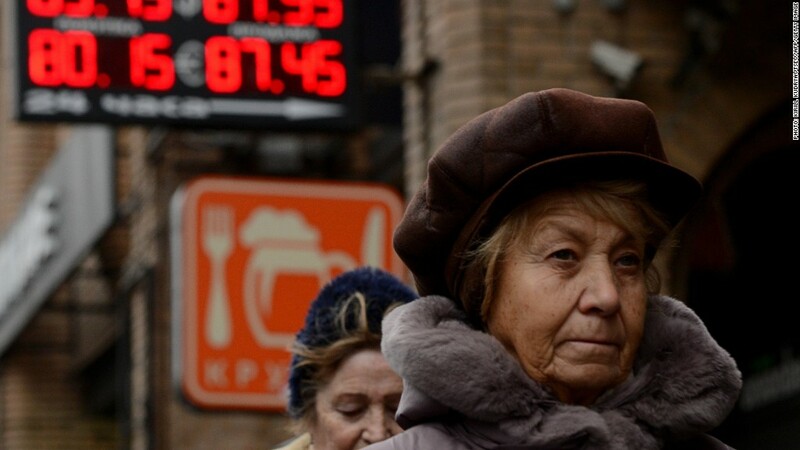 After crashing to 80 rubles to the U.S. dollar Tuesday, the currency has regained some poise. Russia relies heavily on energy exports, and has been hammered by plunging oil prices and Western sanctions. The ruble's free fall forced Russia's central bank to hike rates to 17% from 10.5% earlier this week. The move initially failed, leaving policymakers with few options to contain the crisis. Spending more reserves is one. But the central bank has already burned about $90 billion in foreign currency reserves so far this year with little impact. Russia's total international reserves, which also include gold and other liquid foreign assets, had fallen to $416 billion by Dec 5. Schroders economist Craig Botham described the government intervention as "symbolic." He said the central bank had spent around $10 billion buying rubles since late November, and more action would follow. But it can't draw on reserves indefinitely. The unpalatable alternatives are more rate hikes and capital controls, both of which would condemn Russia to an even deeper recession. President Vladimir Putin could reveal more on the response to the crisis when he holds his annual news conference on Thursday.